Hello Frainds. Today I’ll Describe you Magento Theme Development From Scratch Part 2. If you do not have our first Part, Please look at post ” Our PART 1 ” Let’s now we describe you the Magento Fallback Logic and will see how they influence in its Theme Development. Locates the file named” styles.css. “ This method of building design is called “fallback” because the application ”falls back” to the next possible source of required files in order to retrieve and load a requested file. 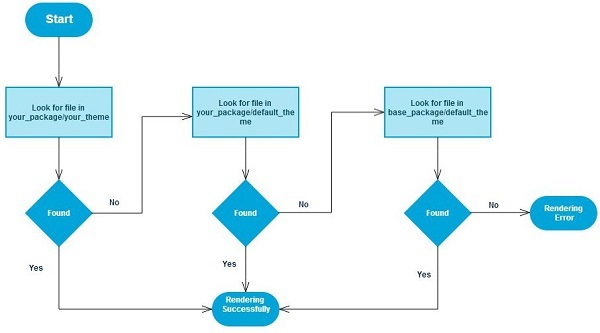 Note: If after Magento has been through the fallback logic and the file still cannot be found it will either throw a rendering error if it’s in the app directory or if it’s in the skin directory it will likely throw a 404 file not found. Blocks and Layouts are very important terms in Magento, but to be a successful Magento theme developer, you should understand these concepts. Blocks are the main entity through which Magento renders the front-end layout. Through the use of blocks, Magento differentiates various parts of layouts. Basically, there are two types of blocks. 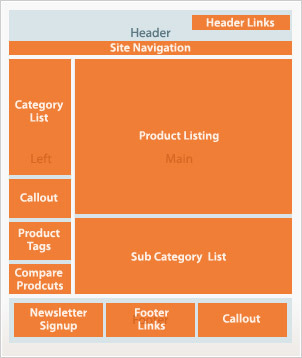 Structural Blocks are the main outline of any front end layout in Magento. 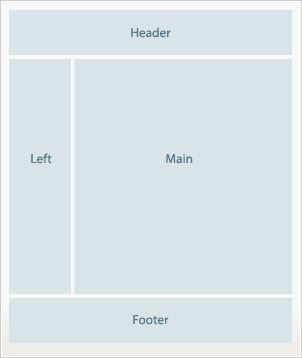 Typically, they contain the Header, Left, Right, Main, and Footer section of a layout. Content Blocks are the actual blocks that reside inside the structural blocks to produce the final visual output. These blocks present the block-specific functionality via HTML. The Category List, Product List, Sub-category List, Product Tags, Homepage product sections, and so are are the content blocks inside structural block. There are many layouts pages for page types such as a catalog and category, but not for CMS pages; for them you can define custom XML directly from the admin. 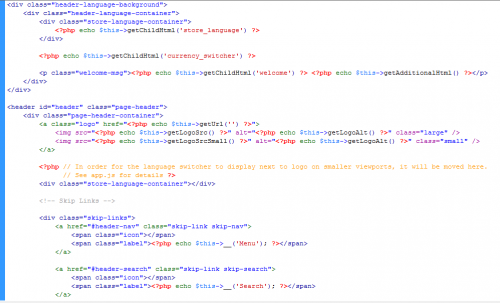 Each page, part, and block of the theme is defined by an XML file. Every page is defined by a handle. To understand better how they work, we need to have an overview of the handles. A handle is a reference name that Magento uses to refer to a particular view (or cluster of views) in your Magento store. For example, the <cms_page> handle used later controls the layout of pages in your Magento store created through the content management system (CMS). The <default> handle defines what is the default behavior for a layout within a particular view? So, if layout for the Checkout view in Magento is defined for the default handle to show a left-hand column in a two column layout, this is the layout that you will see in your store, unless you use a non-default handle to change the layout for a particular view in that Magento feature. For example, you could change the one-page Checkout’s view with a non-default handle to help simplify a customer’s options when it comes to checking out from your store. In the layout.xml file, insert the action in our default handle, and change it. Create the JS file in the specified folder in /skin/frontend/your_package/default/js/test.js. The template files are the PHTML files, a mix of HTML and PHP. These files contain the code of the various blocks and are located at app/design/frontend/your_package/default/template/. CMS (Content Management System) pages and blocks are static pages and blocks that you can manage through the admin panel. Both CMS pages and CMS blocks can contain the HTML code and Magento variables. CMS blocks are blocks that you can create from the admin panel. They are useful for allowing the end user to customize some parts of the theme without modifying the files directly by the admin. CMS pages are the pages that can be created directly from the admin panel. CMS pages are static pages such as Homepage, About Us, and Customer Service. They are available via their own URL address that can be defined with his content from the admin as well. We will discuss more about this topic in the future article dedicated to creating a widget.